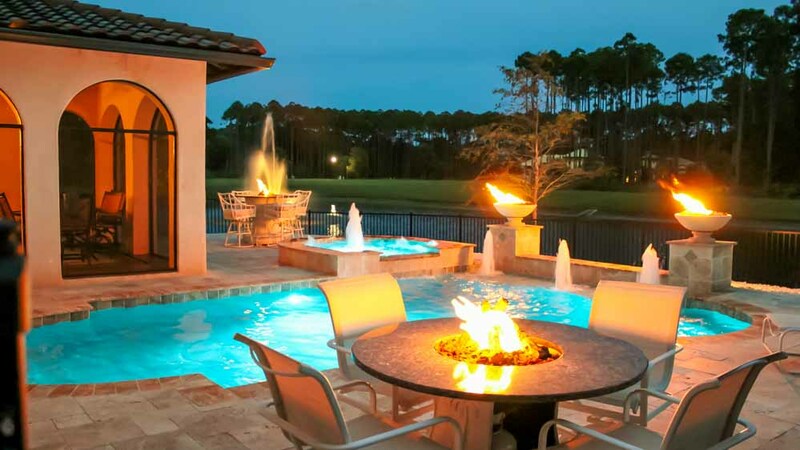 Our company is Poolside Designs and we are swimming pool builders in Jacksonville, Florida. When we say ‘pool builders’ however, we mean for it to include the entire scope of activities to live poolside, beginning with a design concept, progressing to requirements and ‘wish list’ enhancements, and concluding with implementation and enjoyment. 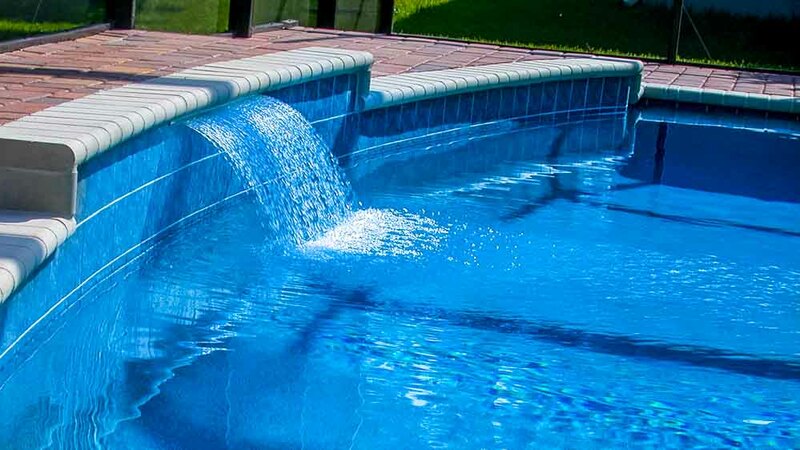 We consider ourselves to be a full-service inground pool builder company, and we would like to offer you the full extent of our experience and expertise in the industry, to help make your inground swimming pool dream become a reality. 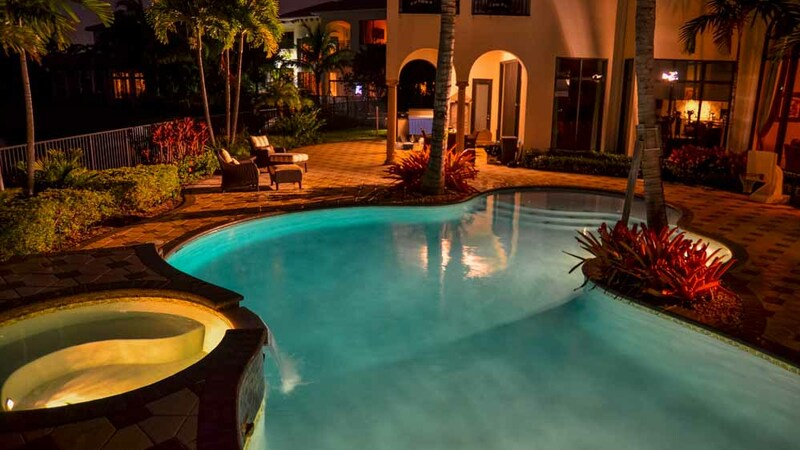 Here are some of the ways we can assist you in accomplishing your poolside lifestyle goals. 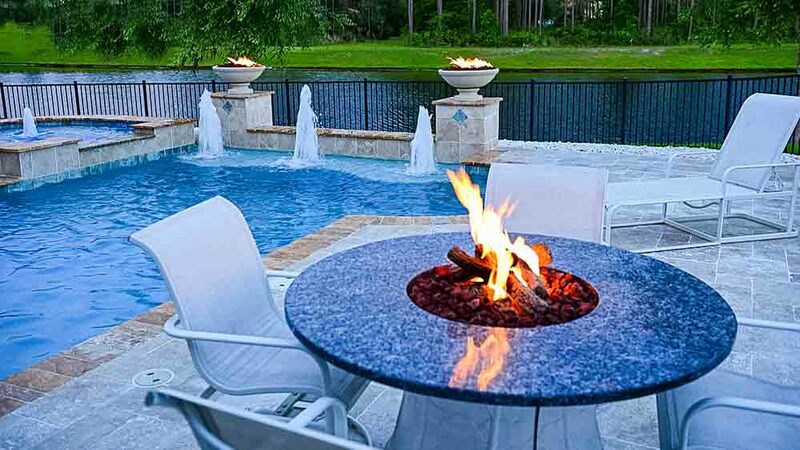 There are literally hundreds of ways your swimming pool area can be enhanced and improved by adding accessories, furniture, and other outdoor accompaniments. Starting with the biggest of these, we can advise you on a pool enclosure, if you are trying to extend the usable season for your pool. Pool enclosures can do just that, by establishing their own internal environments, regardless of the weather outside. 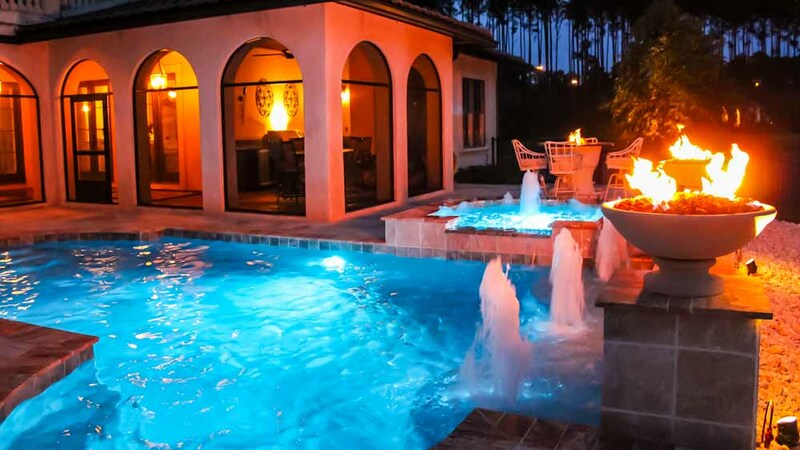 Decks and deck pavers, landscaping, outdoor furniture, outdoor kitchens, hot tubs and spas, and some wonderful touches like waterfalls, slides, and colored lighting are all options that you should consider for your poolside lifestyle. We can present all these kinds of ideas to you, and discuss the pros and cons of each, and whether or not they would have value and appeal in your backyard lifestyle. Many people don’t really care to handle the pool maintenance required to keep the swimming pool operating at optimum performance, as well as in a safe and healthy manner for all users. We offer maintenance plans which can relieve you of all those tasks, so that your only action is to relax and enjoy. 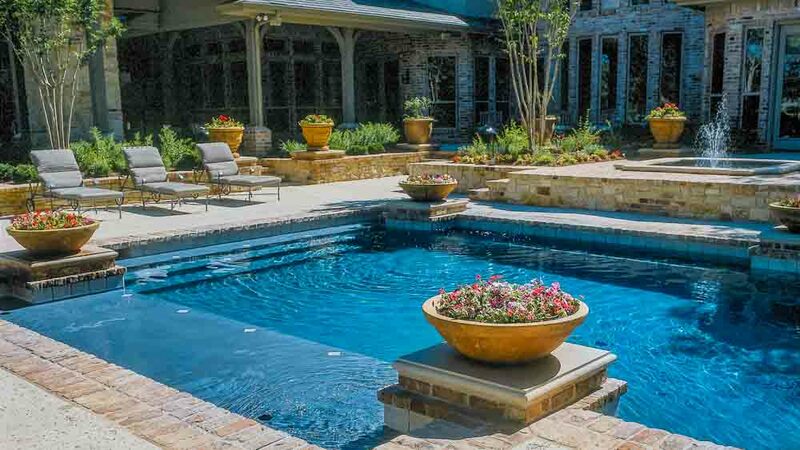 If you already have a pool and would like to have it modernized through remodeling, our pool builders and designers will be happy to consult with you on how best to accomplish that, and then help you carry it through to completion.